Packing 6+1 rounds of 12-gauge thunder, this Remington 870 Express Tactical fitted with a Gator spreader can tackle several enemies at once. 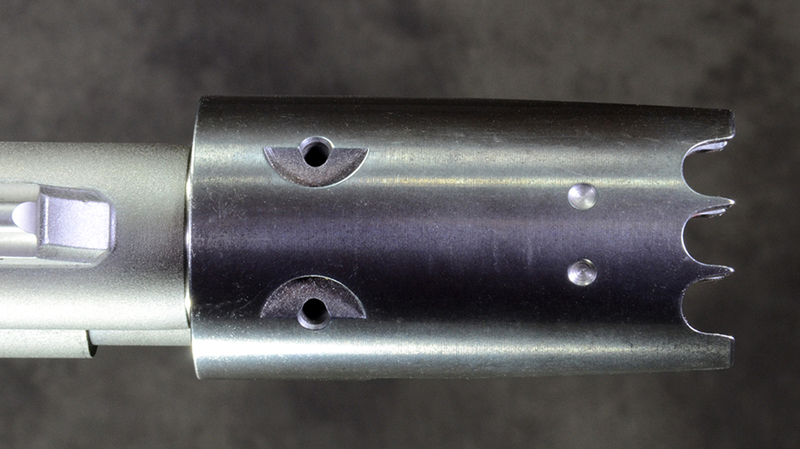 Gators are available to fit a variety of choke systems, and the author’s version came with a Briley Rem choke and, once installed with some Loctite, never loosened during testing. Paradigm SRP originally designed the Gator device to withstand harsh use, as Vietnam-era spreaders were prone to cracking. 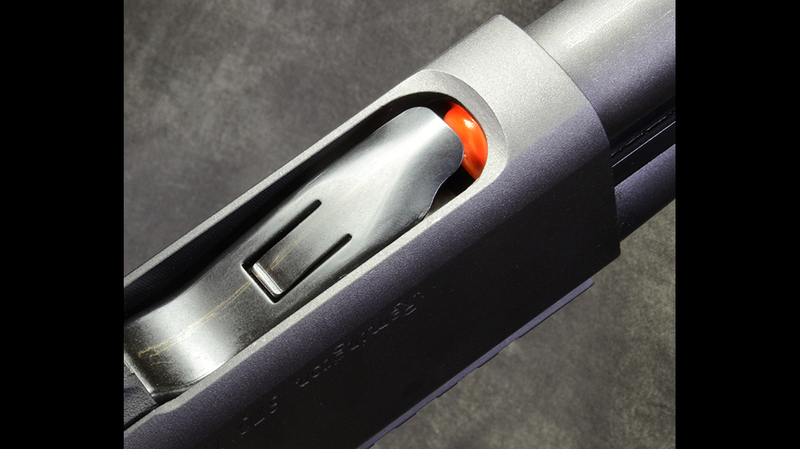 The Remington 870 Express Tactical’s bright orange follower makes it easy to see if you have any shells left in the shotgun’s magazine tube. 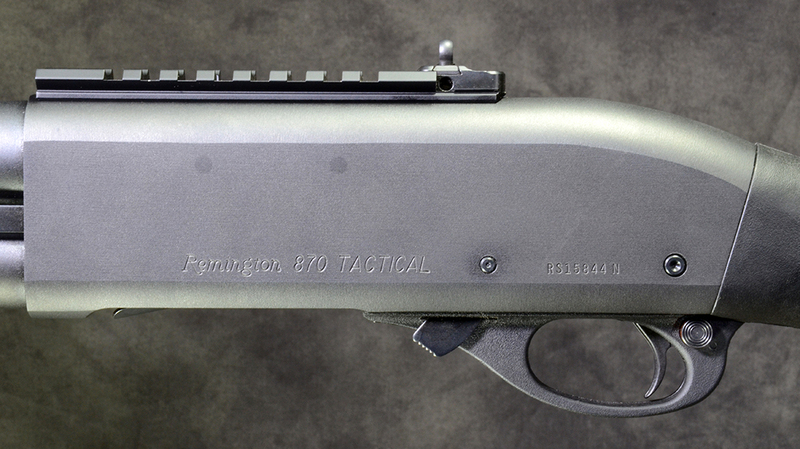 The author’s Remington 870 Express Tactical came with an XS Sight Systems Ghost Ring rail/rear sight mounted on top of the receiver. 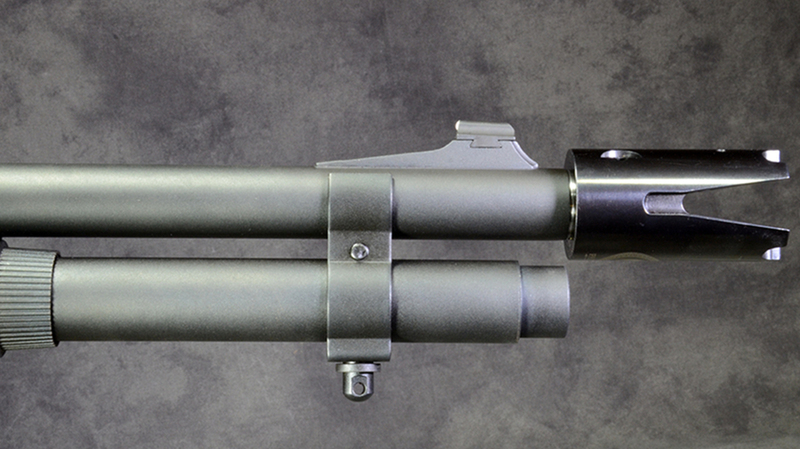 The Remington 870’s pump handle rides on twin action bars to help prevent any binding and twisting in the field. 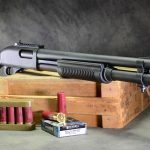 The shotgun’s synthetic buttstock sports a rear sling attachment point as well as a stiff rubber buttpad to help absorb some of the 12-gauge recoil. 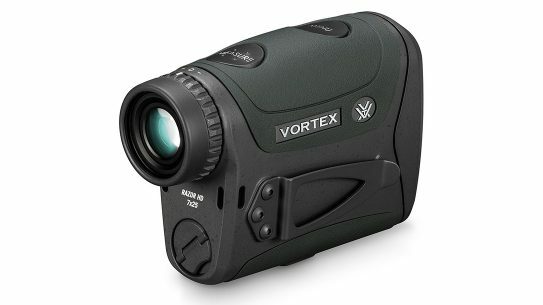 The ramped XS front sight features a big white dot that helps draw the eye for ultra-fast target acquisitions. 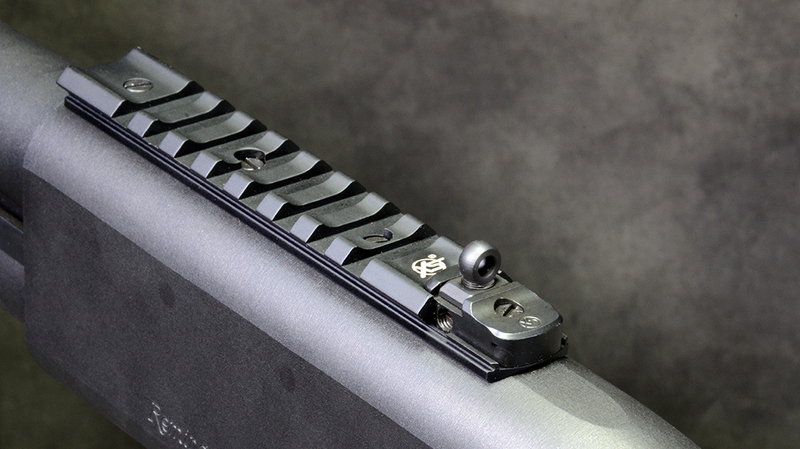 The 870 Express Tactical’s receiver is milled from a solid billet of steel for enhanced durability. 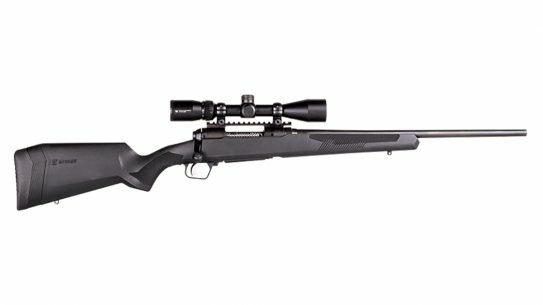 The crossbolt safety is located just behind the trigger—within easy reach. The Gator spreader features teeth so it can work as a standoff device. Note the two dimples near the front that help you align it correctly for a horizontal spread. 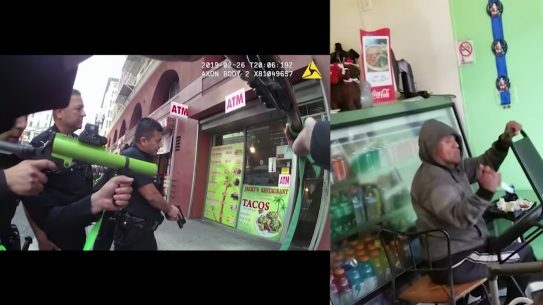 The shotgun has never been considered a precision combat weapon. 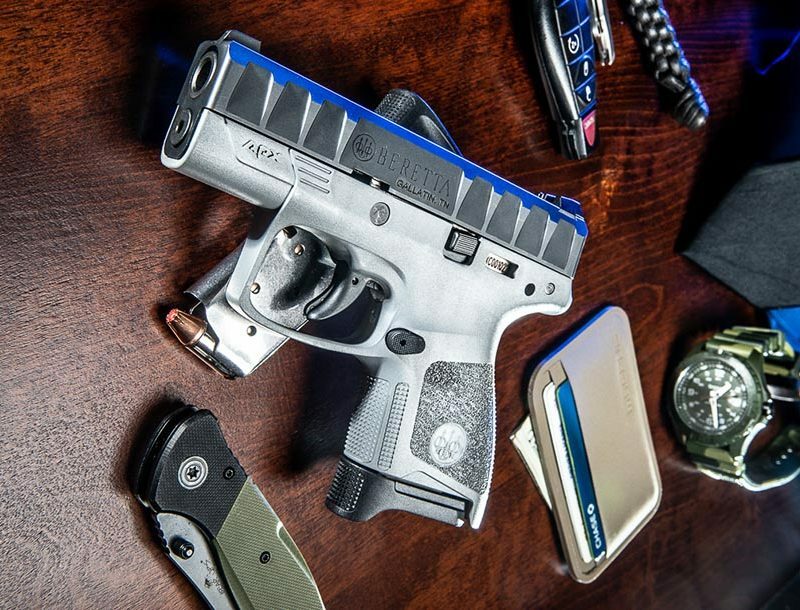 Part of its deadliness is that it throws a pattern of shot over an area that increases the likelihood of hits. 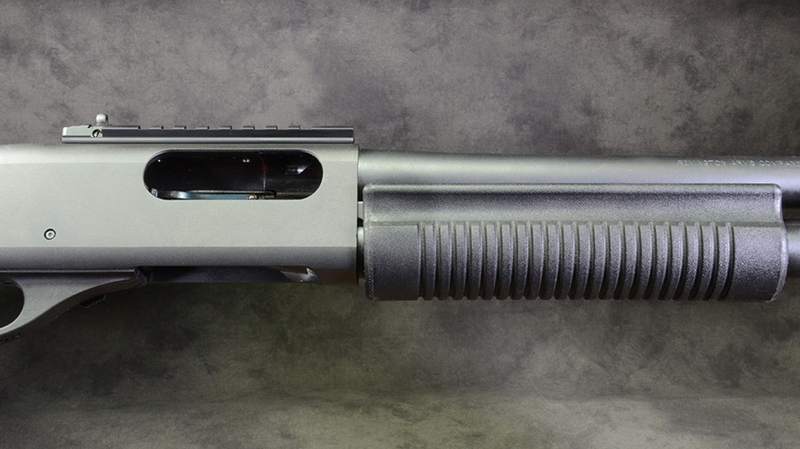 Typically, combat shotguns have a cylinder bore, which makes them most effective at 20 yards or less. 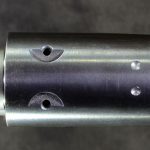 The cylinder-bore style is chosen because it is felt that chokes can deform buckshot, thus causing a poor pattern. From a cylinder-bore shotgun, the pattern spreads in a somewhat circular manner. 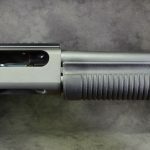 For the typical law enforcement, military or home-defense mission, the cylinder-bore combat shotgun performs its task well. Especially if the user patterns it to determine what load performs optimally. However, for certain military applications, a more specialized choke may be required. 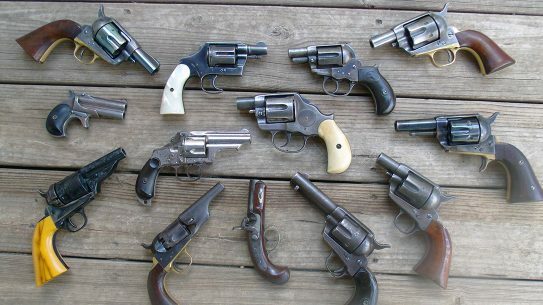 As a result, the “duckbill” or spreader choke was developed to give the buckshot pattern a more horizontal spread. This increases the effect against multiple attackers. As I understand it, the first U.S. military requirement for a spreader choke came from the USAF Security Police (though this may have been early enough that they were still known as the “Air Police”). They wanted to give personnel guarding flight lines or nuclear storage facilities a better chance to take down multiple intruders quickly. 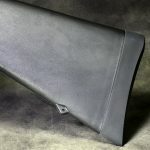 As it transpired, however, it was the U.S. Navy SEALs that realized the potential of the duckbill choke in Vietnam, as they named it for its appearance. Used by a point man on patrol, a duckbill-equipped shotgun could quickly clear a trail if enemy troops were encountered. 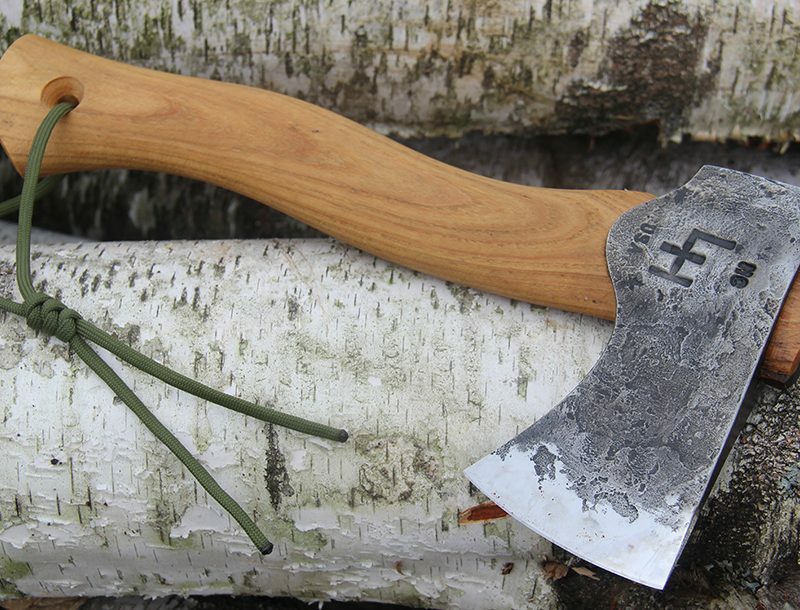 SEALs also found the duckbill deadly for ambushes along waterways or trails. Duckbill chokes also worked well for clearing a deck during a boarding operation. 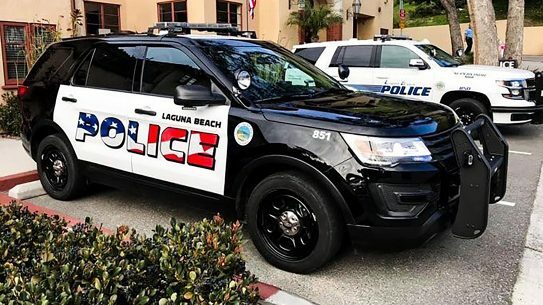 During the Vietnam era, duckbill-choked shotguns were even more effective because SEALs used Ithaca Model 37 riot guns. These guns lacked trigger disconnects. Hence, the SEAL could just pump the shotgun while holding the trigger back. When the U.S. military was testing spreader chokes, it experimented with chokes that gave a 2-to-1 or a 4-to-1 ratio of width to height of the pattern. Among the lessons learned in Vietnam was that #4 buckshot worked better in a spreader choke, as it provided more pellets to cover the area, and that the duckbill chokes as issued had a tendency to fracture after quite a bit of use. 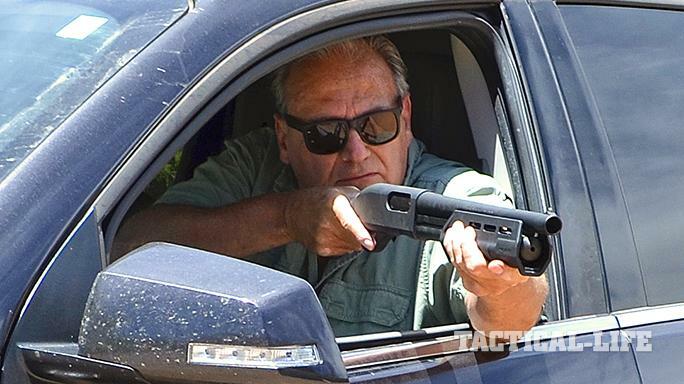 After Vietnam, the duckbill choke was mostly forgotten, though the book “Point Man” by Chief James Watson, in which he talks about his use of the duckbill-choke-equipped Ithaca Model 37 in Vietnam, made readers aware of this special-purpose shotgun. 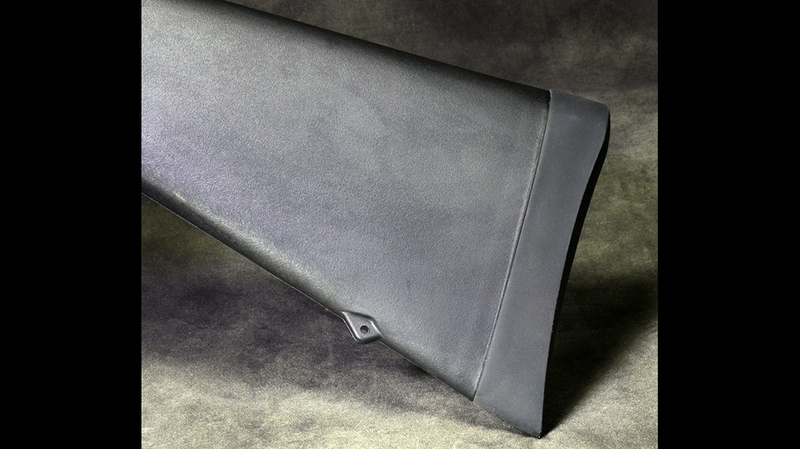 As a result, a few Duckbill shotguns were made on a custom basis over the years. 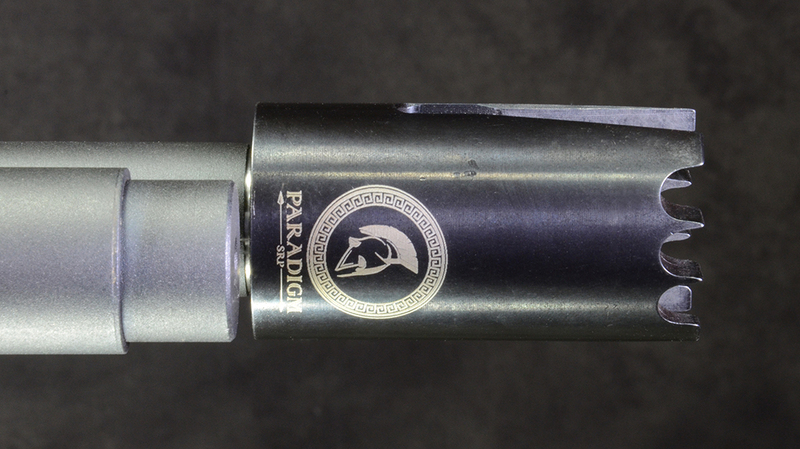 Recently, though, the spreader choke is back in production with Paradigm SRP for use by contemporary special operators. This is a completely redesigned Duckbill that has been beefed up substantially so that it will not fracture with extensive use. 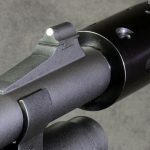 Original U.S. military Duckbill chokes were normally soldered onto the shotgun, which meant that the shotgun was really only designed for effective use in limited tactical situations. 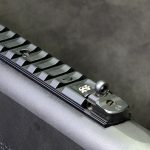 The new Gator, as it’s called, on the other hand, is designed as a screw-in choke, which may be installed for situations where its horizontal spread offers an advantage or removed to allow another choke to be installed for more general use. 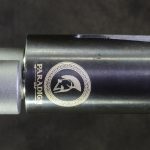 The Gator is available for several choke systems, including the Rem Choke, Winchoke Invector, Winchester Invector, Benelli Mobil, Benelli Optima Plus, Benelli Crio Plus, Beretta Optima and Beretta Crio. A version is also available for the Saiga shotgun. 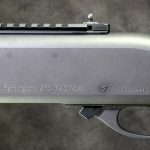 Since I use Remington 870 tactical shotguns much of the time, I chose to install the Rem Choke model on an 870 Express Tactical. Although I own a couple of 870s, I did not have one with the Rem Choke system, so it seemed a good excuse to acquire an 870 Express Tactical. 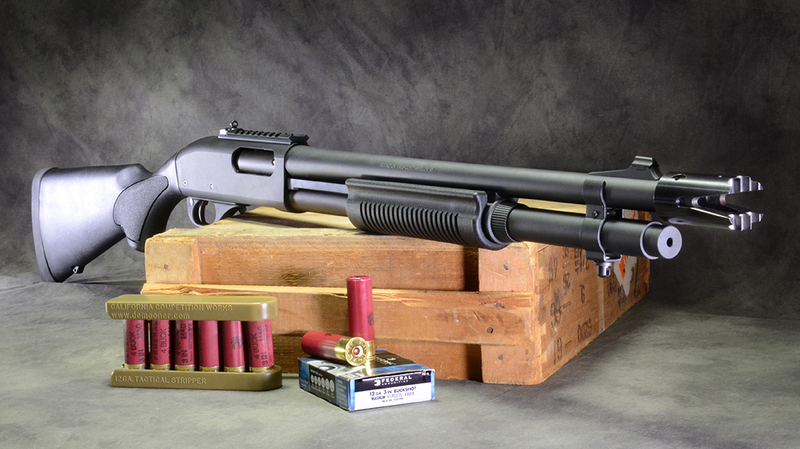 This shotgun is an excellent value, whether for law enforcement or personal-defense usage. 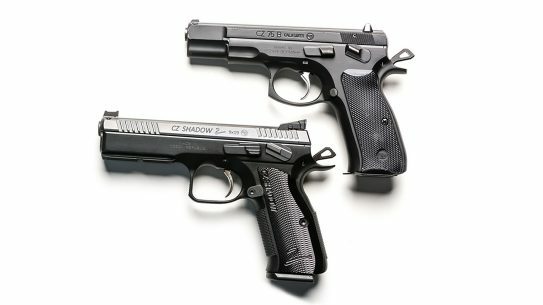 It is chambered for both 2¾- and 3-inch shells and will take six rounds of either in its extended magazine. 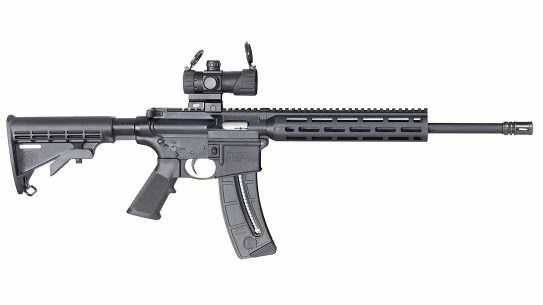 The barrel length is 18.5 inches, and it comes with an extended, ported Remington choke. 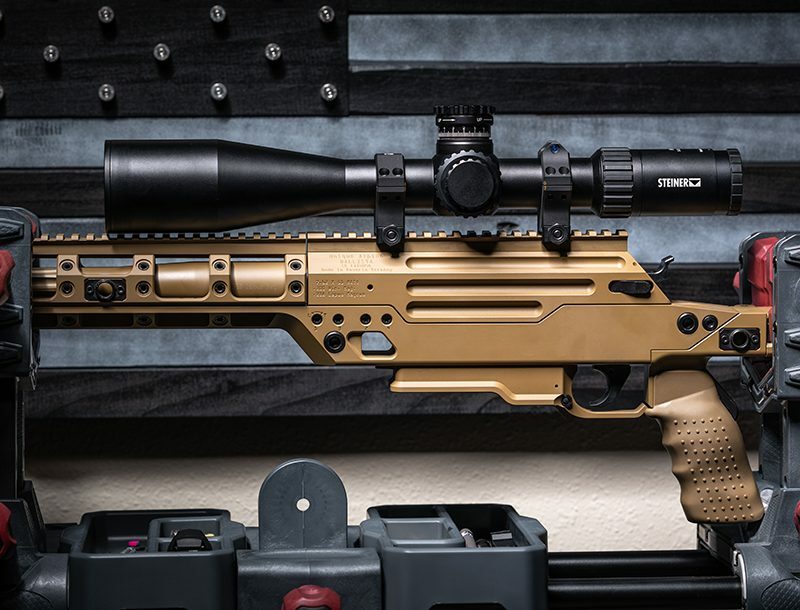 An XS Sight Systems Ghost Ring sight rail is mounted on the receiver, with the ghost ring combining with the front post for fast sight acquisitions but also more precise shooting when desired. 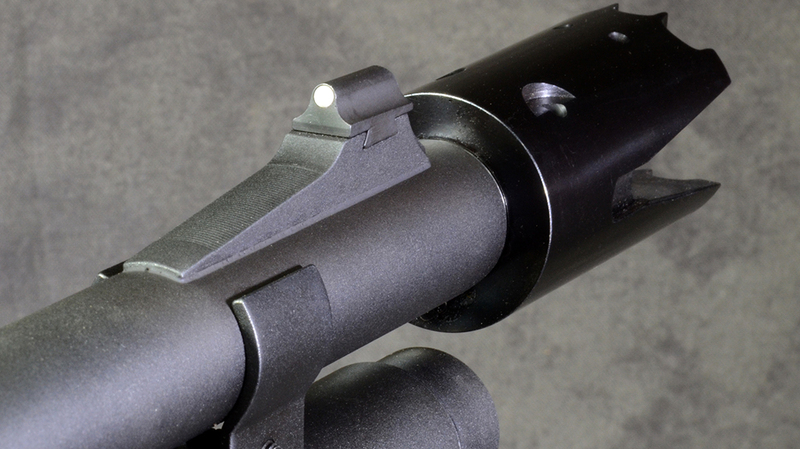 The ghost ring is adjustable for windage and elevation. 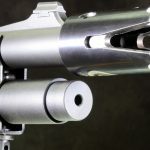 The Picatinny rail allows you to mount a range of optical sights, though it is a relatively short rail, so an optic with a short base will be needed. Other features include a tactical-style forend and an orange follower so you can be quickly determine if there are shells in the magazine. 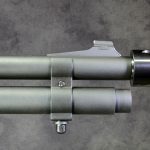 Swivels are included for mounting a sling. 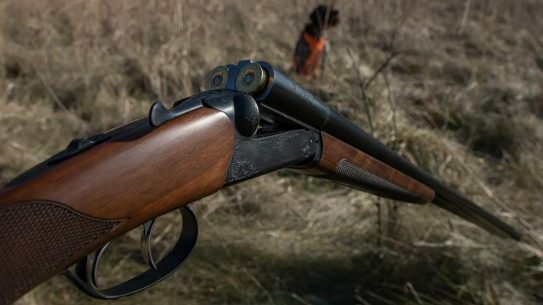 The shotgun’s a bargain, too, as the price at larger retailers tends to be around $500. 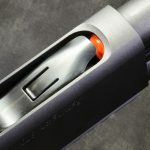 Whether you intend to install a special choke such as the Gator or not, this is an excellent chose for a combat shotgun. The first thing I noticed about the Gator was its quality of manufacture. The machining and finish are of very high quality, as is the design. Even uninstalled, the Gator looks aggressive and deadly. Very importantly, as well, it comes with clear instructions for installation. In my case, first I had to unscrew the ported Rem Choke that came on the 870. After that, all that was necessary was to screw in the Briley Rem cylinder that came with the Gator. Once it was screwed in, I painted the threads on the front of the choke with Loctite and screwed on the Gator. Once it was screwed in tightly, it was necessary to back it off so that it was correctly positioned using two depressions on its top as a guide. After that, I left it for the Loctite to set. At this point, the Gator was ready to go. And it could be unscrewed and replaced with another choke if so desired. I decided to initially try the Gator using Federal 2¾-inch #4 buckshot for the simple reason that it was the only #4 buckshot I had. Using two humanoid targets positioned next to each other at 10 yards and aiming between the two targets, the pellets spread well between the two. At 25 yards, still using the 2¾-inch shells, which throw 27 #4 pellets, the pattern was 31 inches wide and 18 inches high. I had hoped for a better horizontal spread. 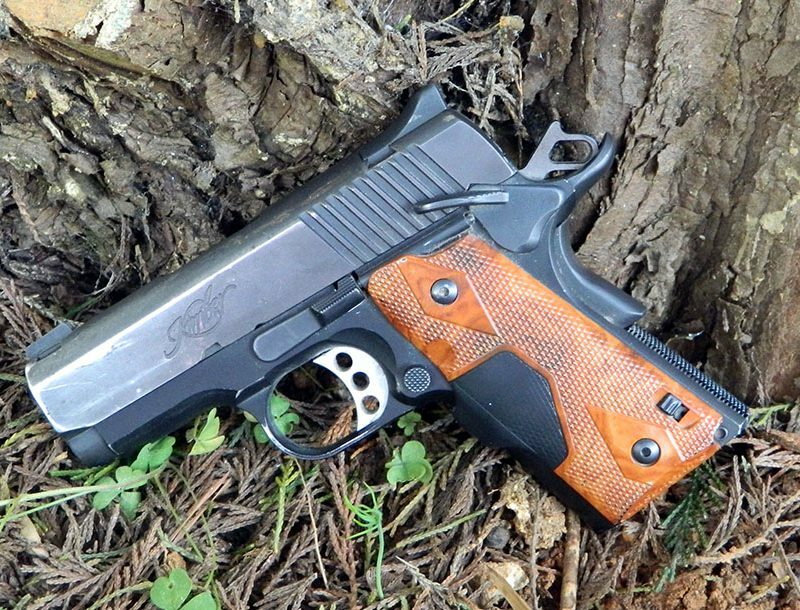 By the next time I took the Gator the range I had acquired some Federal 3-inch #4 buckshot, which throws 41 pellets. I hoped for better results with the heavier loads and definitely got them. I set up three 18-by-30-inch IPSC targets next to each other at 15 yards for the test. 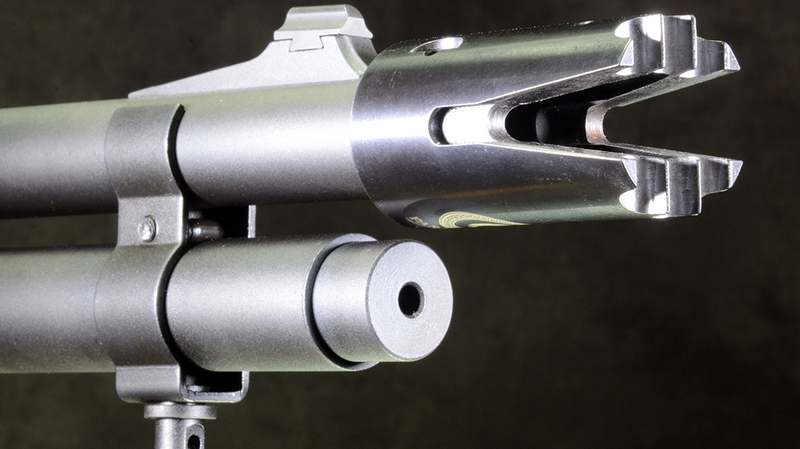 The 3-inch #4 buckshot loads are absolutely the way to go to maximize the Gator. All 41 pellets impacted the targets. I had aimed at the center target, which took 25 hits. But the left target took 7 hits and the right target took 9 hits. The pattern was about 51 inches wide by 16 inches high. That’s over a 3-to-1 ratio of horizontal to vertical. I did some shooting at hanging plates between 15 and 35 yards away, mostly using 2¾-inch shells. 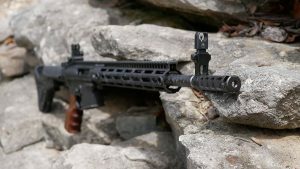 I wanted to be able to handle the Remington more quickly to check my sight acquisition with the ghost-ring sights. What I found was the Express Tactical was very light and handy. I tried a few rounds of 3-inch #4 buckshot on hanging plates, mostly to see how many I could hit with each shot. I didn’t measure the distance between the plates, but I found that I was hitting two of them with the spread of the 3-inch shells when I aimed in the middle between them. When using the 2¾-inch shells, if I got my aiming point just right, I was hitting both, but not every time. By the way, other sizes of buckshot may be used, but buckshot larger than #4 does not perform as well. And I do not recommend shooting slugs with the spreader installed! It must be emphasized that a shotgun with a spreader choke is a very specialized weapon designed primarily for military use in ambushes or for clearing a ship’s deck. 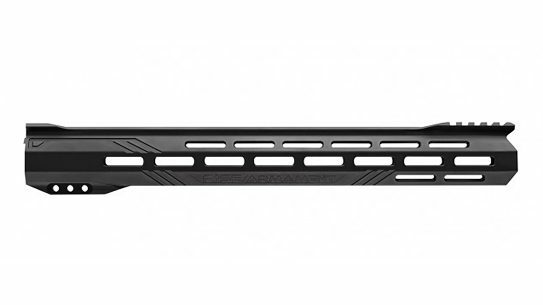 The wide horizontal pattern would endanger bystanders if used in normal law enforcement scenarios. 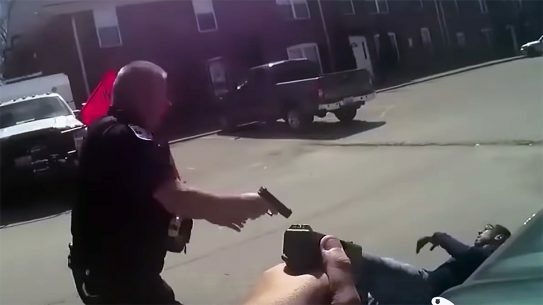 However, in cases of extreme societal breakdown when the law officer or the civilian homeowner might be facing an armed crowd, it would prove an excellent equalizer. 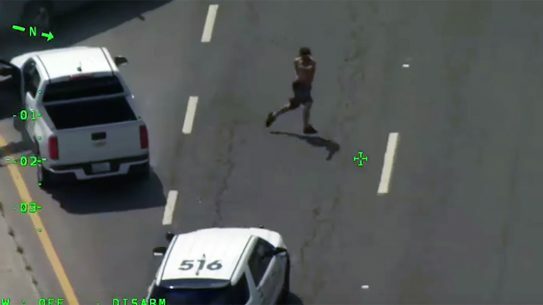 I should note, too, that although the Gator is designed to deal with multiple attackers through its horizontal pattern, if it is necessary to target one hostile individual, the shotgun may be turned on its side to fire a large vertical pattern on its target. 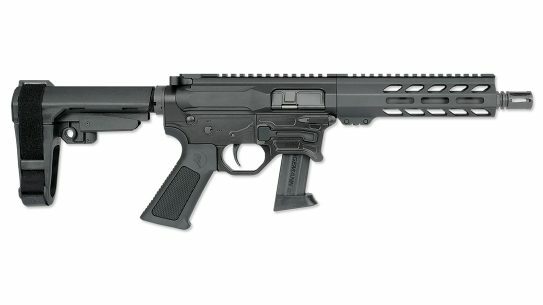 I write books on combat shotguns and do a lot of articles on the topic, so I certainly looked forward to testing the Gator. It performed as expected, especially when using 3-inch #4 buckshot. 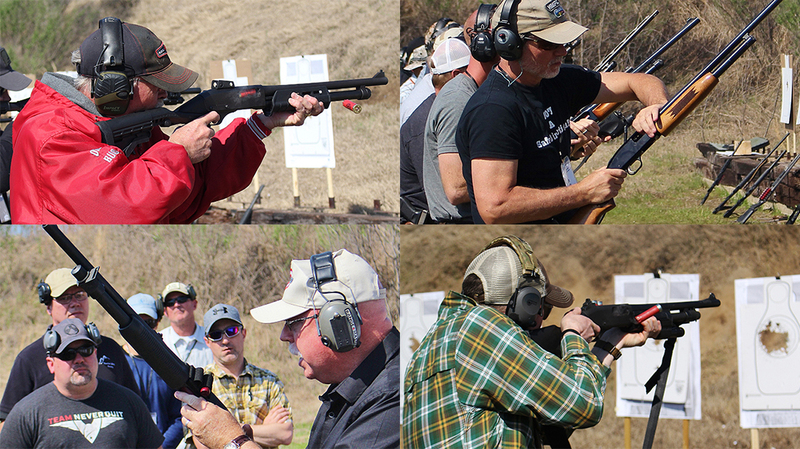 In addition, I was also very happy with the Remington 870 Express Tactical. I didn’t think I needed another 870 combat shotgun, but it convinced me that I did. I wasn’t that hard to convince! The MSRP for the Gator is $199, which, given the quality of manufacture, is very reasonable. 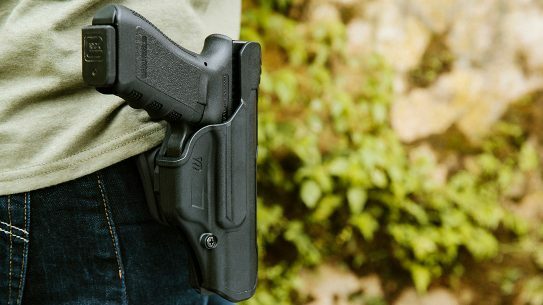 This article was originally published in “The Complete Book of Guns” 2017. To order a copy, visit outdoorgroupstore.com.